BEIJING - China's property prices rose at the slowest pace in a year in November, as the government continued its rigorous real estate policies and launched new measures to soak up liquidity in the market. Home prices in 70 major cities climbed 7.7 percent from a year earlier, the National Bureau of Statistics (NBS) said on Dec 10. That's slower than the 8.6 percent increase in October and the 9.1 percent figure for September. 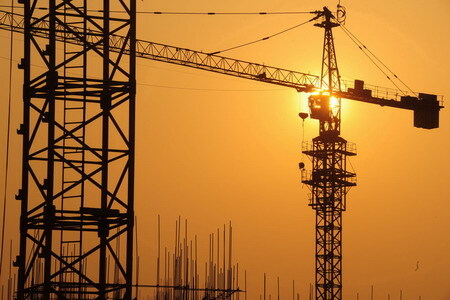 Wang Tao, head of China economic research at UBS Securities, said the price-growth trend has been curbed and prices will gradually stabilize in 2011 as more affordable housing comes on the market. Mao Daqing, vice-president of China's largest property developer Vanke, shared that view. "Due to property developers' tightened cash flow, increasing land supply and lost-cost housing, property prices are expected to be stable next year," he told a recent forum. William Kwok, director of Cheung Kong Real Estate Limited, said the tightening policies will help to curb price growth in normal residential housing. The company, for instance, plans to raise the price of its villa project La Grande Ville II in Beijing from the 28,000 yuan ($4,179) a square meter it charged in May 2009, to 35,000 yuan a square meter. The month-on-month figure, however, continued to rise in November, jumping from a 0.2 percent gain in October to 0.3 percent, marking the third straight monthly rise. Sales volumes rose 14.5 percent and transaction values surged 18.6 percent from a year earlier, the NBS statistics show. According to Nicole Wong, a Hong Kong-based analyst at CLSA Asia Pacific Markets, the data appears quite modest as the 0.3 percent gain implies a 3.6 percent annual increase, which is lower than inflation. China's consumer prices climbed 4.4 percent in October. China's property investment rose 36.7 percent to 462.8 billion yuan in November from a year earlier, and increased 36.5 percent for the first 11 months of the year to 4.27 trillion yuan. Meanwhile, property developers acquired 361 million square meters of land parcels from January to November this year, up 33.2 percent from the same period last year. Their land costs rose 77.9 percent to 893.1 billion yuan. "These figures remain solid, indicating property developers remain upbeat about the market, despite the government's rigorous real estate policies," said Qin Xiaomei, chief researcher at the property services group JLL Beijing.